Centre for Clinical Psychology's library is equipped with more than eight thousand books, and journals related to the field of Clinical Psychology and other related disciplines such as Educational Psychology, Developmental Psychology, Research Methods, Psychological Assessment, Statistics, Social Psychology and Sociology. In addition, it has Reference Books, Encyclopedias, Dictionaries and Books related to other disciplines. The Centre’s library regularly updates books and other reading material. The Centre also provides facility of online books and Journals for the students to facilitate them in their academics and research work. Moreover, 420 research theses of the students (BS, MS, ADCP & Ph.D) are available in the library. The students can utilize library resources between 8:30 am to 4:00 pm. Students from other departments and institutions can also utilize the library resources once a week. 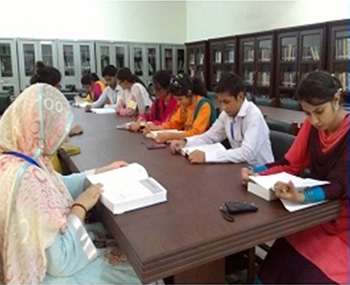 In addition, students of the Centre can utilize facility of the main library of University of the Punjab, Lahore. Books are issued for overnight and each student can get two books issued at a time. Books are issued from 3:00 pm to 4:00 pm (Monday-Thursday) and (Friday) during 12:00 p.m. to 1:00 p.m.
Books are returned next working day till 12:00 (Noon), otherwise fine will get implemented. While returning library books or other materials at the circulation desk please ensure that the circulation staff has stuck off your name from the issue register. Reference Books, Journals, and Research Theses will not be allowed to be taken outside the library premises. The testing laboratory has a large collection of latest Psychological Tests and Scales for Assessment of: Intelligence; Ability; Aptitude; Personality; Neuropsychological Functioning, and Psycho-Diagnosis. The Students are expected to follow the below given guidelines. Manuals and Test material is only used for teaching, training and provision of clinical services at the Centre. Copying of Manuals and Material is not allowed. The Experimental Laboratory is equipped with Experimental Apparatus for carrying out experiments on human mental processes i.e. Perception, Memory, Cognition and Learning. It as sufficient capacity and proper seating arrangement for students. Each student is provided opportunity to perform experiments independently under the supervision of a trained faculty member. Handle all the Lab Equipment carefully. Return stationary and equipment to the lab attendant after completion of experiment. No engraving or writing is allowed on the lab furniture. The Computer Labs are equipped with high quality Computers, Printing and Internet Facility to cater the needs of BS, MS, ADCP and PhD students. In order to facilitate the students in their studies and research, all computers have required soft-wares e.g. SPSS; Urdu In-page, Microsoft Office, and Adobe. 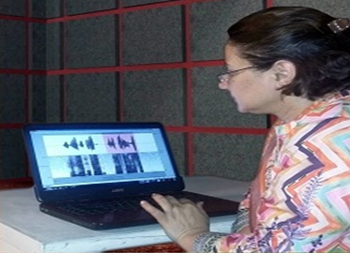 Students can access Data Bases through Punjab University Digital Library. Centre also offers Computer Courses and Data Analysis courses to develop computer literacy and data analytical abilities among its students. The Centre also provides Wi-Fi facility for those who want to use internet outside the Lab. The students are only allowed to use computers for academic and research purposes. If students face any problem regarding computers, they are required to fill a complaint form placed in the lab. Downloading of Games, Use of social Networking websites is strictly prohibited. Eatables and drinks are not allowed in Computer Labs. 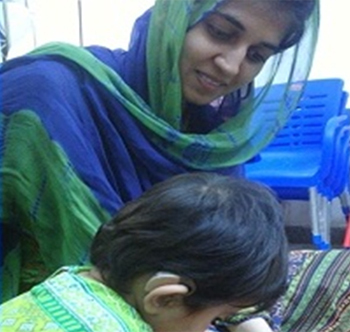 Speech and Language Pathology Lab is established to meet the Research and clinical needs of students. Need based and merit based scholarships are provided to the students. Students who fulfill the criteria for scholarship will get twelve thousands rupees per year. Students are also guided to explore other possibilities to seek financial assistances i.e. HEC scholarship, Bait-ul-Mal, PEEF scholarships etc. The Centre provides assessment facilities for Intelligence Testing; Aptitude Testing; Psych-o-Diagnostic Testing; Neuropsychological Testing; Ability Testing; and Personality Testing. The facility of Psychological Treatment for Adults and Children is provided for diverse Psychological Problems such as Psychotic Disorders, Anxiety Disorders, Mood Disorders, Eating Disorders, Sleep Disorders, Substance Related Disorders, Sexual Disorders, Somatoform Disorders, and Speech and Language Pathology etc. At Centre for Clinical Psychology, qualified consultants and experts are engaged in treatment and assessment of Psychological Problems. Centre also provides speech and language therapy services to Communicatively Impaired clients both children and adults, having Hearing Impairment, Cleft Lip and Palate, Stroke, Head Injury, Brain Tumors, Autistic Spectrum Disorders, Voice Disorders, Speech and Language Delay, Stammering, and others caused by any pathology. Speech Therapy services are subsidized and based on the principles of Evidence Based Practice (EBP). The referrals to the CCP include clients from: General Physicians; Neurologists and Mental Health Professionals working in Public Sector Hospitals, Schools and Self Referrals as walk-in clients from general community. Service charges are subsidized & special consideration is given to the students, employees and faculty members of the University and deserving cases from the community. 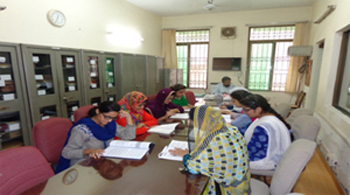 The Centre also runs a Psychiatric Rehabilitation Program for the patients with Psychiatric Disorders at Fountain House and Dar-ul-Sakoon, Punjab Social Welfare Department. Individual, group and family therapeutic sessions are conducted with the patients and their family members by trainees of the Centre under the supervision of experienced Clinical Psychologists. 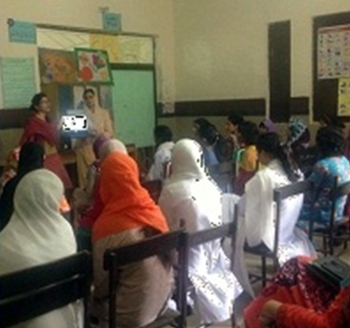 These programs aim at Psycho-social Rehabilitation of the patients, prevention and psycho-education of the family. Furthermore, it aims at creating awareness among masses and de-stigmatization of mental health problems.